Noticed you meditate … i’ve thought about getting into transcendental meditation … thoughts?? Caught me right before I’m doing my evening practice. I’ve had limited experiences with TM so cannot say a whole lot. I did a short weekend stint at their school, including the morning and evening 1hr sessions. I will say the people at their school were quite nice, friendly, open-minded and quite cool to be around. My first day there, me being from Chicago grew up in an ‘interesting’ environment around crime. I’m heading to the cafeteria for lunch (which was organic and vegetarian back in the mid-90s) and someone rides up to the place and just puts their bike against the building. A little stunned (being from Chicago) I asked the person who was with me why they didn’t lock up their bikes. Their response was simply ‘there is no crime here’, which they said quite plainly and almost shocked at my question. So the TM meditation was definitely having an effect on the people there. But most practices like Shamatha, Vipassana, zhi-ne, all produce solid effects and changes when done consistently, especially 2x per day. This has been studied scientifically and proven quite extensively over thousands of studies. I myself don’t practice TM, but do both Shamatha and Zhi-ne. And either of those I’d recommend as you will literally change your neural wiring if you can stick with it and be consistent. Your brainwaves, breathing, central nervous system harmonics (and more) will all improve, so cannot recommend meditation enough. I’m actually creating a meditation practice for members in my course this week to help them with concentration, focus, and clarity, so looking forward to getting that out. Mostly quiet today with a few pending orders filled on EJ, UJ and EG. 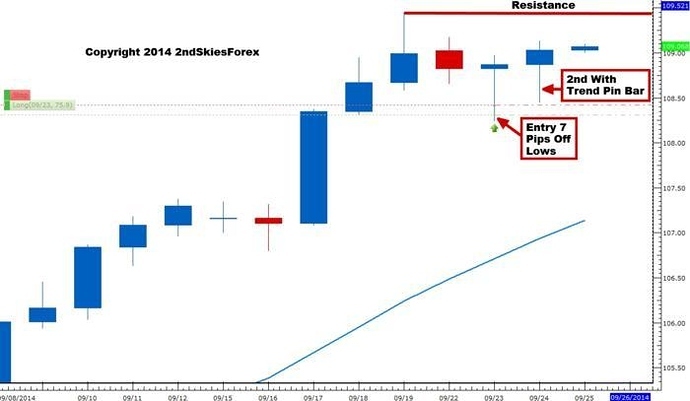 Here is my trade from the latter one on that list…currently up [B]+45 pips[/B]. Great euro short here. what is your target on this one? Still riding this one lower (trade below). Wanted to briefly cover the [B]USDJPY[/B] on the [B]daily chart[/B] below. Looking at the last few days, after reaching a high of 109.40, the pair pulled back, but formed a [B]with trend pin bar[/B]. The pair then followed this up with [B]another with trend pin bar[/B], clearly demonstrating how bulls are happy to buy intra-day dips near the highs, in anticipation of another attack higher. 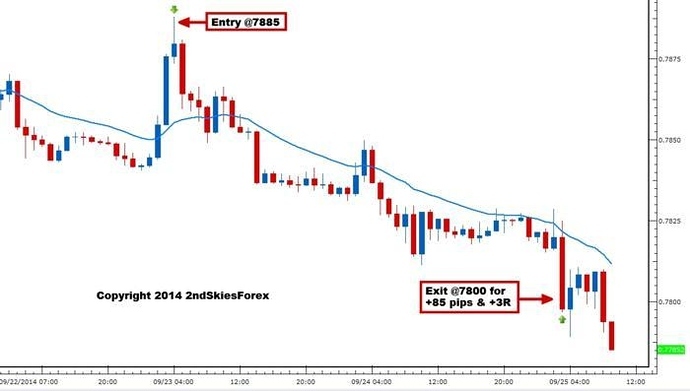 As you can see, [B]I bought the dip[/B] in the first [B]with trend pin bar just 7 pips off the lows[/B], which is now [B]+75 pips in profit[/B] (actually +86 since this pic was taken). I’m anticipating another go at the [B]109.40 level[/B], and if the bulls can take this out, then we have 110 and 110.50/60 up next. Only a collapse below 108 will trip some short term stops and profit taking from medium term bulls. Hence maintaining my [B]bullish bias till then[/B]. Good trading and see you manana. 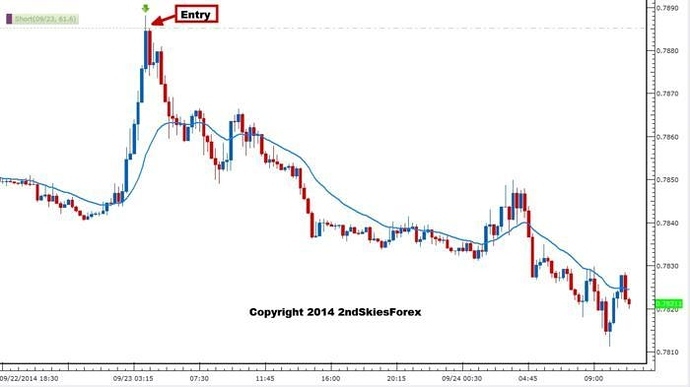 I got resource to start learning Price Action trading system. @2ndSkiesForex thanks ! Nicely done. Post the updated chart when you are done with the trade. Here is an update from the [B]EURGBP trade setup[/B] I posted earlier. Closed for [B]+85 pips profi[/B]t and [B]+3R[/B]. Currently holding the USDJPY long and 1 other position with 6 pending orders. Great. I will update my chart later on. 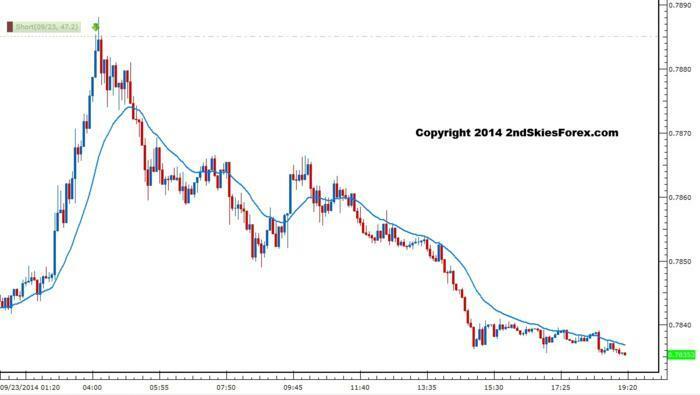 Cable also forming a bearish pattern. Keep an eye on this one as well. Nicely done tony. Sept was quite a solid month. I actually still have trades running, two active at the moment and 6 in the queue pending so could still have quite an active end to the month as we have monday and tuesday trading. Will be showing the result of my USDJPY trade I mentioned a few days ago shortly. Hope to see more action early next week. See you mate. Meanwhile EURUSD is slowly building up a base so we may see some short term rally in the majors vs. the USD. I’ll be sharing more of how I traded (again) the USDJPY for another +3R profit later today, along with what I’m watching besides the above. As shared before, I’ve been [B]bullish on the USDJPY[/B] for the last several weeks, and shared those live buy trade setups here before. I’m continuing that bullish sentiment, and the pair is showing signs of another bull leg up. Looking at the [B]1hr chart below[/B], we can see a [B]key role reversal level[/B] around 109.49, which minus the false break early yesterday, has held 2 rejections. But today, after a solid [B]impulsive pullback[/B] to start the US session, the pair found a bid off the same 109.49 level, and some solid follow up buying intra-day. The pullback since then was [B]largely corrective[/B], suggesting the sellers are not coming in aggressively - hence another leg up. The recent highs around 109.80 should be attacked soon, and if/once we break here, then we got 110 and 110.60, the [B]key resistance[/B] I’ve been talking about lately. So watch for [B]corrective pullbacks[/B] to get long, and only until we get an aggressive break below 109.49 and 109.15, will my short term bullish bias change. 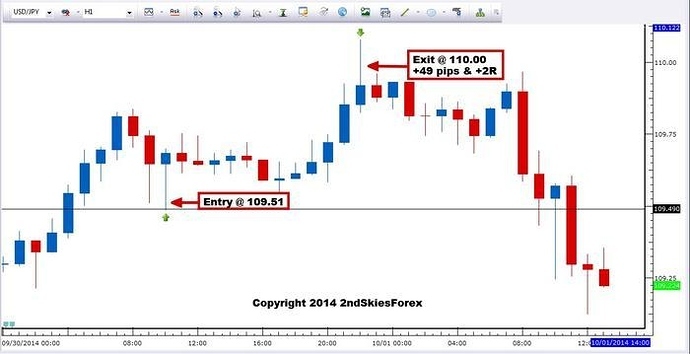 So here was the result of the trade I had on the USDJPY. I [B]bought on the level[/B], which was the lows of the blue [B]pin bar[/B] and [B]exited at 110[/B] as i suspected there would be some initial strong selling there. Turns out that was correct as the pair dropped quite heavy from the 110 barrier (chart below). I’ll be watching for [B]corrective pullbacks towards 108.30/50 area[/B] as a potential area to get long. The lows of today are ‘possible’, but I’m not totally crazy on that level. If I see more basing there and bids absorbing the offers, then I might reconsider. For now, neutral to slightly bullish with the current trend, but its starting to balance at the moment. Am going to take in the fall scenery between toronto and montreal as the country side here is quite beautiful. Good luck trading today and will post something later about a recent buy setup I did on the audusd off the lows, grabbing +103 pips.